petition: These License Plates Benefit Anti-LGBTQ Hate Group! These License Plates Benefit Anti-LGBTQ Hate Group! Since 2008, the Arizona Department of Transportation has been selling license plates featuring the national motto, "In God We Trust" — $17 dollars of the $25 motorists spend on these plates go to the Alliance Defending Freedom. For two decades, the Alliance Defending Freedom — defined as a hate group by the Southern Poverty Law Center — has spent millions advocating against LGBT rights both within the United States and abroad. Until recently, it was not public knowledge that the money from these license plates were going to the Alliance Defending Freedom, demonstrating that lawmakers knew full well that this was in direct violation of the First Amendment mandate of church and state separation. 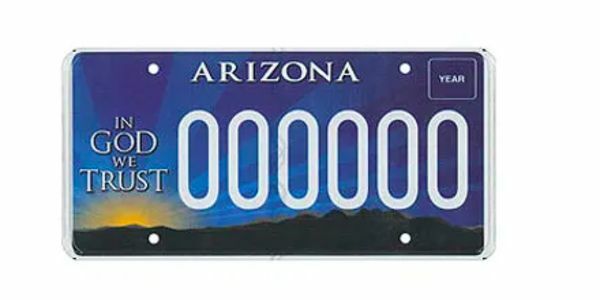 Add your name to this petition to demand the Arizona Department of Transportation immediate cease sale of its "In God We Trust" license plates!